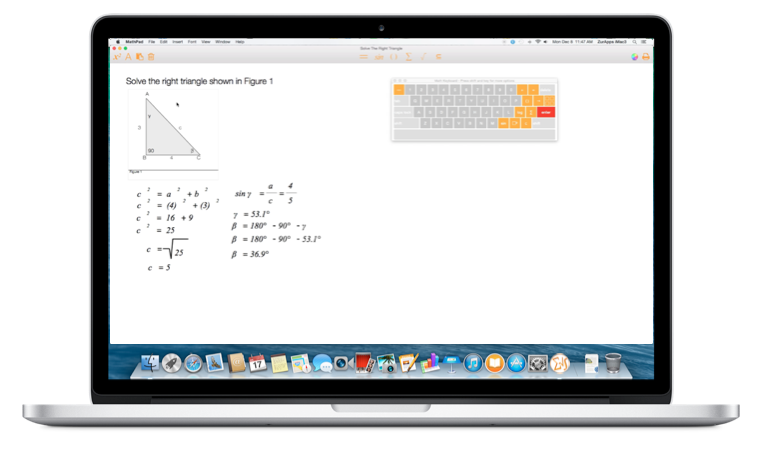 MathPad for macOS - ZurApps Research Inc.
MathPad allows you to create documents with mathematical expressions using a specially designed mathematical keyboard. TRY BEFORE YOU BUY! – Free app that includes In-App Purchase for PREMIUM Subscription, with a free trial period of one month. The easy-to-use math keyboard lets you edit equations like never before. Change the font size or color of each selected expression. Use iCloud to save and open your files on other computers and devices. Print or email the documents you create in several formats.